Oregon State Beavers baseball Signed Autograph 2017 CWS Omaha COA LOOK!! Oregon State baseball Signed Autograph 2018 CWS Omaha COA LOOK!! Mississippi State Bulldogs baseball Autograph 2018 CWS Omaha COA LOOK!! Florida Gators baseball Signed Autograph 2018 CWS Omaha COA LOOK!! stayhandsome22 has no other items for sale. 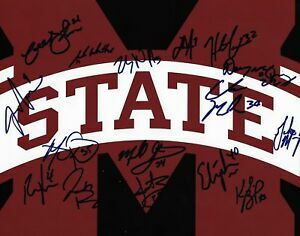 Details about Mississippi State Bulldogs baseball Signed Autograph 2018 CWS Omaha COA LOOK!! Mississippi State Bulldogs baseball Signed Autograph 2018 CWS Omaha COA LOOK!! $1.25 shipping for each additional eligible item you buy from stayhandsome22.